Contact Beverly LaFleur, Match Sec. Time: Let's gather at 10am. We'll put up a shade tent in the area of the fun match. Be sure to bring water and a chair. What: We'll be having a Club meeting to discuss some upcoming activities that we've been invited to participate in. 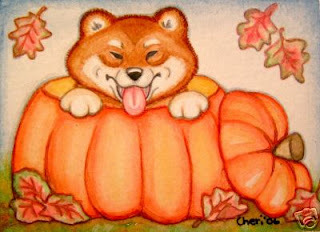 We'll also dress up our Shiba's in their Halloween finest to show off to each other. Prizes will be awarded to the participants(the four footed ones).